I’ve served as a judge for the DNA Day Essay Contest for a number of years now. Every year, I look forward to seeing the efforts of high school students across the world who are grappling with an interesting problem in contemporary human genetics. This year’s essay question asks students to argue if consumers should or should not have direct access to predictive genetic testing. The results of their efforts vary, of course, but I never cease to be amazed at the level of sophistication displayed by many of them. If you have concerns about society drifting toward less trust of scientific knowledge, you’ll find many of the essays reassuring. All of the entrants’ efforts bolster the view that evidence-based critical thinking is alive and well among today’s motivated and ambitious young people, some of whom will constitute the future generation of our Society’s leaders. One of the biggest changes I’ve noticed is the evolution in the students’ use of online resources. The traditional scholarly style, with ample use of references to relevant papers in the peer-reviewed literature, always represented a very high standard for students of high school age. The best essays always bore evidence of liberal use of PubMed, and they still do. However, Wikipedia provided an easier entry into this process, and as Wikipedia became a richer and more detailed resource, students began to avail themselves of it. Less ambitious efforts then began to show evidence of using simple Google searches, which themselves have become more effective over time. Some of the less stellar efforts now seem to rely on social media as an information source. Here, I find the chance to provide comments or feedback one of the more satisfying aspects of the judging process. I have always volunteered as a Round 2 judge, and as far as I’m concerned, the less glamorous part of judging is done for us in Round 1, when the lower quality essays are removed before we Round 2 judges see them, so we’re typically distinguishing between fairly good, very good, and outstanding essays. I’ll admit that as a researcher who does very little teaching (and zero grading of exams or essays), judging these essays doesn’t feel much like any of my regular obligations. 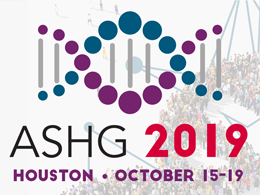 And, the workload is very manageable (made easier by the rubric), the website is intuitive and easy to navigate, and it’s always satisfying to contribute to the efforts of ASHG. If you want to give back a little, judging ASHG DNA Day essays is an easy way to do it. And if we can provide a little support for developing the scientific workforce of the future, so much the better. Dennis Drayna, PhD, is Chief of the Laboratory of Communication Disorders and Chief of the Section on Genetics of Communication Disorders at the National Institute on Deafness and Other Communication Disorders, part of the NIH. A longtime member of ASHG, he has served as a judge of DNA Day essay submissions since 2014. Interested in judging DNA Day essays this year? Email dnaday@ashg.org to sign up. For teachers and students participating in the DNA Day Essay Contest, each year’s question seems to appear on the website out of thin air. While that would be simpler for us on the Question Committee, it wouldn’t be any fun. Our goal every year is to craft a challenging, thought-provoking, and current question. We often have a hard time narrowing down our choices because of our excitement for the potential answers from students, and turn to a variety of resources to help. Soon after celebrating DNA Day on April 25, we launch into discussions for the next year’s question. This year’s Question Committee included myself, the rest of the Education Department, our former Genetics & Education Fellow Teresa Ramirez, and our former Executive Vice President Joe McInerney. First, we look over questions from previous years to determine what worked and what didn’t. We consider a question to be less successful if there are fewer submissions or it has a concept too difficult for students to grasp. We then look through a list of potential questions that has been built up in recent years. We pick our favorites, alter some, add on to others, and brainstorm new questions based on what is new in genetics. What follows is weeks of discussion about how to shape our top choices to be both challenging and accessible to high school-aged students around the globe. This part of the process is often the most difficult, as we try to figure out how to get the wording perfect. When satisfied, we send three pilot questions to a group of teachers to vote and critique via survey. We ask questions like whether students would understand the question prompt and whether they would be interested in the question topic. Our pilot group of teachers are longtime contest participants who have submitted more than four essays each year over the past five years and are from public and private schools, as well as from various states and countries. Based on their vote, our 2018 question, which asks students to argue if consumers should or should not have direct access to predictive genetic testing, was chosen as the winner. Now that we have finalized the question, we are excited to see the responses. I think this year’s question will be especially thought-provoking because direct-to-consumer genetic testing is becoming increasingly popular and accessible. And now, it’s on to the contest. ASHG Members: If you would like to participate as a judge in this year’s essay contest, look out for a recruitment email in February. Please keep in mind that you must be a current ASHG member to judge DNA Day essays. If you have any questions, please email dnaday@ashg.org. Students and Teachers: We are now accepting essay submissions via the DNA Day website. The deadline is March 9. Evelyn Mantegani, BA, is Education Coordinator at ASHG. For more information on ASHG’s programs for K-12 students and teachers, visit the education website. Congrats to the 2017 DNA Day Essay Contest Winners! Happy DNA Day! Every April 25, we commemorate the completion of the Human Genome Project in 2003 and discovery of the double helix of DNA in 1953. ASHG marks this date each year by announcing the winners of our Annual DNA Day Essay Contest. Open to high school students worldwide, the contest asks students to examine, question, and reflect on important concepts in genetics. This year’s theme was gene therapy. Students were asked to choose one modern example of gene therapy (since 2005), describe the disease or condition researchers are attempting to treat, and explain how the therapy or approach might repair the underlying cause of the disease or condition. We received over 1100 essays from 38 U.S. states and 21 non-U.S. countries. Essays went through three rounds of scoring by ASHG members, who selected a first, second, and third place winner as well as 11 honorable mentions. ASHG will award monetary prizes to winning students as well as grants for genetics laboratory equipment to eligible teachers. “This year’s essays continue the tradition of high-quality submissions…that we have seen for the past 12 years, and their enthusiasm for the science reflects the excitement that our members feel about their work,” said Joseph D. McInerney, MS, Executive Vice President of ASHG, in a press release. Adele Peng, a freshman at Thomas Jefferson High School for Science and Technology in Alexandria, Virginia, received first place for her essay on using zinc finger nucleases to immunize against HIV. Sophia Spiegel, a junior at Bergen County Academies in Hackensack, New Jersey, received second place for her essay on using recombinant adeno-associated virus vectors to treat Leber’s Congenital Amaurosis. And Alvin Ya, a senior at Poolesville High School in Poolesville, Maryland, received third place for his essay on potential uses of CRISPR to treat muscular dystrophy. For a full list of winners and honorable mentions, teachers, and excerpts from winning essays, check out the DNA Day 2017 Winners. Through this contest and our other K-12 initiatives, we hope to encourage young people to explore genetics and inspire the next generation of ASHG members and leaders. Kanika Pulliam, PhD, Educational Programs Manager at ASHG, and Evelyn Mantegani, BA, Educational Programs Assistant, organized the DNA Day Essay Contest for high school students. Learn more about ASHG’s efforts in K-12 education.